We often hear about the huge negative effects humans are having on the environment, but is it right to assume that humans can single-handedly define the survival of all other life forms on the planet? Professor Todd LaJeunesse at Penn State University has studied coral reefs and their relationships with the environment for 15 years. Now, writing in PNAS, LaJeunesse believes that his team's work shows that even as humans decimate the environment, life will find a way to endure. Corals live "symbiotically" with their environments, that is, they are interdependent with another form of life to survive. Imagine a bird that cleans a crocodiles teeth: it's a similar kind of set up. For corals, this symbiotic relationship is made up of the coral itself and an alga, called the symbiont. These symbionts live inside the cells of the coral and provide energy for their host by harnessing sunlight. 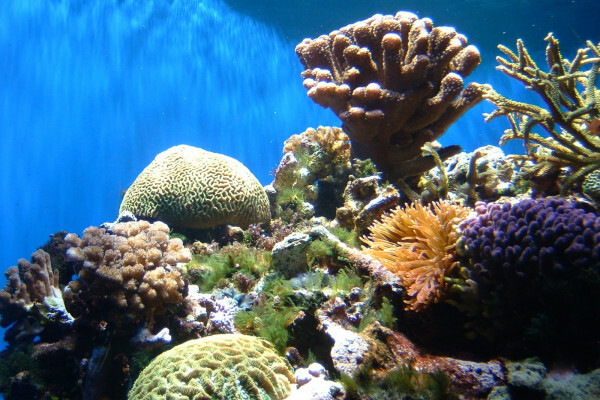 They are also responsible for giving corals their colour through the pigments they contain. However, if the ocean water temperature rises by a certain amount, then the symbionts will leave the host coral and this makes the coral go white. This process of turning white is why we hear of corals "bleaching" and the results can be catastrophic to the coral. Without the additional nutrients from the symbiont, the coral cannot get enough food, and will eventually starve to death. When researching in the Caribbean, Professor LaJeunesse and his team found some symbionts in the corals that "really shouldn't be there". Originally found in the Indo-Pacific Ocean, the symbiont Symbiodinium trenchii was found to be present in a high proportion of Caribbean corals. This is likely to be partly a consequence of a severe bleaching event that happened in the Caribbean in 2005, after which the prevalence of S. trenchii climbed by 20%. When a coral is endowed with S. trenchii, it has the benefit of being more resistant to increases in temperature, and other forms of environmental stress. This increased resilience comes at a cost though. S. trenchii is more greedy than the more normal symbionts and pays significantly less ground rent in terms of energy returned to its coral host. This limits the ability of the coral to grow when compared to living with more common symbionts, and this means that there is a trade-off between temperature resistance and growth rate. Over time, this limit in growth rate could have enormous effects on the state of the coral reefs in the Carribean, but S. trenchii is "here to stay," says LaJeunesse. One fascinating implication of this research, is that after the mass bleaching event in 2005, the Caribbean reef has found a way to adapt and survive or, as LaJeunesse puts it, "Never underestimate life. Life will always find a way." Can algae or bacteria bioreactors be contaminated?